Most people hate being pulled over by the police, especially when they just did something dumb. Even if you get a mere slap on the wrist, chances are you’ll still feel like an idiot for getting into that situation in the first place. So how about this situation right here. 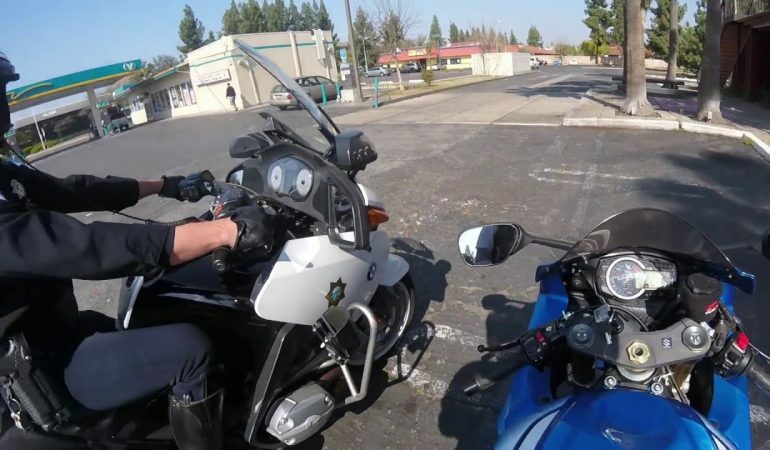 A biker gets on his new ride, steps on it and gets pulled over almost immediately. Cop stops right alongside of him, says ‘it’s a beautiful day’, then asks him to ‘please slow down’ and tops it off with a friendly fist bump. Is it too much to expect every cop to be this cool? CRAZY Dirtbike HYDROPLANE & JUMP!! !